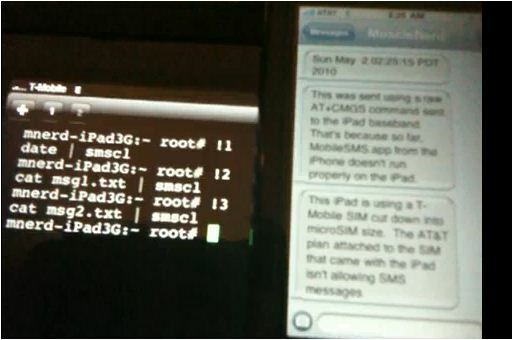 A video showcasing the ability of a Jailbroken iPad 3G to send text messages via command line terminal was spotted on youtube. 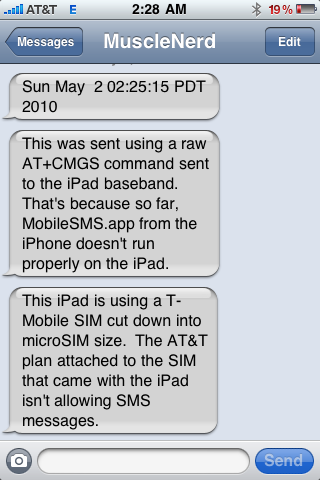 It was uploaded by an user named @MuscleNerd and it shows an iPad 3G sending text messages using T-Mobile’s SIM plan to another iPhone. As you can see in the pic the messages was sent using the command line interface making use of piping instructions.